Lipolytech is a pioneer in the production of gastric extracts ( RGE) with known gastric lipase and pepsin contents. 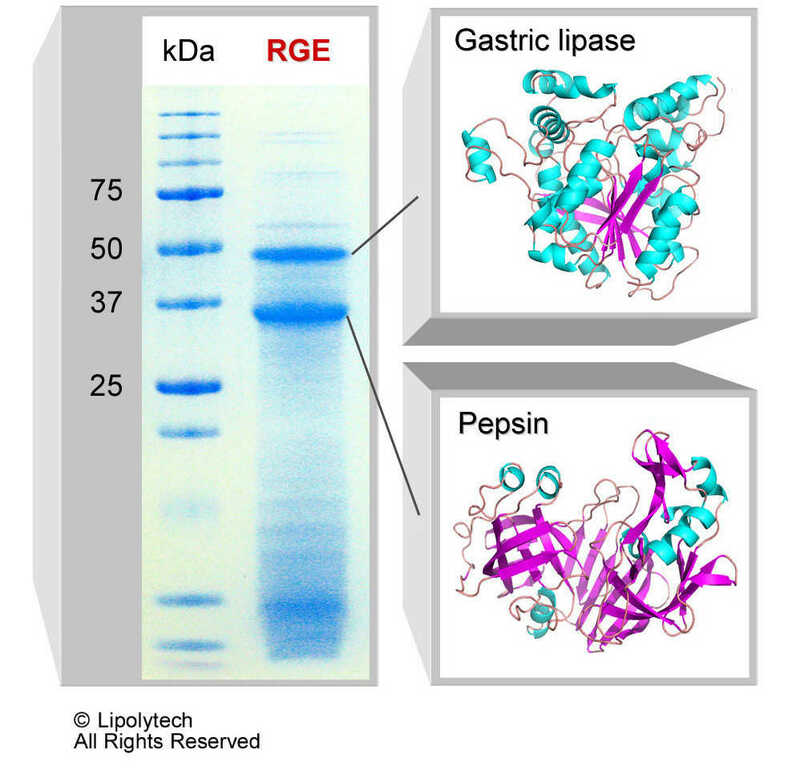 We offer several RGE preparations with different pepsin to lipase ratios which allows you to adjust the lipase to pepsin ration depending on the conditions you want to reproduce in vitro. A higher purity gastric lipase ( RGL) is also available for structure-function and biophysical studies. Please see catalogue for available quantities and prices, or contact us to get a quote for larger amounts and for more specifications about our gastric enzymes.